College scholarships, grants, and loans: what are they all about, and which ones should you use? We broke them down for you. We all know that college is expensive. It feels like you’re being charged for just about everything: housing, meals, textbooks, the sun, and the air you’re breathing. Fortunately, there are scholarships, grants, and loans out there to alleviate the immense burden of paying for college. Most high school and college students have the need for scholarships hammered in by the time they fill out their college applications. They might’ve also heard about grants and loans. However, the differences between scholarships, grants, and loans are often confusing in the midst of the stressful college apps season. Are you confused by the differences between college scholarships, grants, and loans? Read on to find out about how these three common forms of financial aid can help you afford the beautiful college sun and fresh college air a little more easily. We’ve all heard about applying for scholarships, but what exactly are they? Scholarships are sums of money specifically designated for your education. There are billions of dollars in awards out there, available for anything from sports to academics to any other hobby you may have. The best part about scholarships is that all the money you receive is yours to use for college; it’s totally free to use and free of interest. It’s up to you to find and apply for scholarships from external sources. However, you may also receive merit- and/or need-based aid from the university you choose to attend, which may or may not be awarded to you immediately upon your acceptance. It’s important to check with your colleges to see if they have any separate financial aid applications. Also, don’t forget to file the FAFSA, because it might be needed to get institutional scholarships in addition to federal financial aid. Scholarships are similar to grants, and the two terms are often used interchangeably. One major difference, however, is that scholarships place a greater emphasis on student merits. All scholarships are awarded on a specific set of criteria, and they are offered by schools, nonprofit organizations, communities, and businesses. Because all students are welcome to apply (provided they meet the eligibility requirements), winners are often chosen out of a competitive pool of hundreds to thousands of students. Scholarship applications can also be time-consuming as they often require a lot of thought and effort, application essays, and sometimes even recommendations. On the bright side, stellar students can win as many scholarships as they are able to—there is no amount limit, unlike many loans and grants. They are free money that does not need to be repaid. There is no limit as to how many scholarships you can win. There are billions of dollars worth of awards available for myriad student talents and interests. Winning a scholarship gives a boost to applications for future programs. It's a source of pride! Most are merit-based or tied to unique attributes, like students’ backgrounds or intended majors. Filling out scholarship applications can be time-consuming. 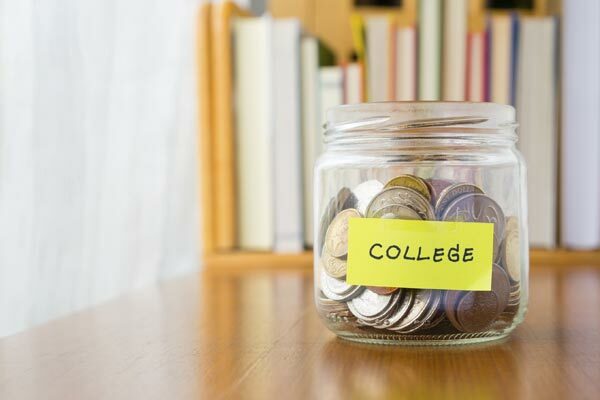 Related: Find college scholarships that fit you on CollegeXpress! Simply stated, grants are free money. The federal government, the states, and various institutions award grant money to students without expecting them to pay any of it back. Grants for college students can either be need-based or merit-based. To apply for a grant, you must meet certain criteria and file the FAFSA. Some grants are available to students who participate in specific activities, whereas others are offered to high-achieving students. The most common grant is the Federal Pell Grant for low-income families. There are also TEACH grants for applicants who plan to become teachers and grants for those with military parents or parents who served in Iraq or Afghanistan after 9/11. The average grant ranges from about $4,000–$6,000 per year. Keep in mind, because grants are free money, there is only a limited amount available to be distributed among countless college students in the nation. For this reason, many grants are awarded on a “first come, first served” basis, so it’s a smart idea to fill out your FAFSA as soon as possible. They do not need to be repaid (aka no debt). Typically only one application, the FAFSA, needs to be filled out to apply for various grants. They are a limited resource, and they can run out. A loan is borrowed money that needs to be paid back with interest. Student loans are much like any other loan, except that they are used to pay for educational expenses. Compared to scholarships and grants, college loans can get a bit more complex. And while loans can be a good option for paying for college, you need to understand what they entail and be conscientious in your borrowing. Otherwise, you might take on a financial burden you really can’t handle. Always remember that loans come with interest (which can add up quickly) and payments when you’re done with college and out in the real world. And if you don’t make your loan payments, things can quickly take a turn for the worst. There are basically four types of loans you need to worry about: federal need-based loans, federal non-need-based loans, state loans, and private loans. If you need to borrow money for college, federal- and state-backed loans tend to be your best bet, because they have fixed interest rates, lower interest rates, and more favorable repayment options, including the ability to make income-based payments. If federal or state loans don’t cover all of your educational expenses, you can turn to private loans to fill in (reasonable) gaps. Most importantly, you need to understand what you’re getting yourself into with any student loans: how much you’ll be paying back each month, how much your payments compare to the average salary for your intended profession, what the terms of your loan entail, etc. It’s a lot of heavy, adulty information you (and your family) should research before you apply for any student loans. Federal loans are the most commonly sought by students because they usually have flexible repayment terms and relatively low interest rates. They are funded through the US Department of Education, and some of the popular programs include the Stafford and the Perkins loans. You need to file the FAFSA to get these loans, and they’re awarded based on you and your family’s financial need. They are typically awarded to more needy families. Federal Perkins Loans are awarded to the most financially needy families, distributed via the university to the student directly (not the parents). The maximum amount you can get in Federal Perkins Loans as an undergraduate is $5,500 a year and $27,500 total. If you take out a Federal Perkins Loan, expect to pay about 5% interest. You can also get Federal Direct Subsidized Loans. “Subsidized” loans defer interest until after you graduate. (This saves you money. Yay!) The amount you can borrow also increases year after year, and undergraduate dependent students can borrow a total amount of $23,000 in subsidized loans. Subsidized undergraduate loans carry a 4.29% interest rate until July 1, 2016. There are also fees of a little more than 1% associated with the loans. State loans are offered by a state’s department of education. Check here to see what may be available in your state. State loans vary in how much you can borrow and in application requirements. Finally, there are private loans, which you will likely need a credit-worthy cosigner (like your parents) to get. Private loans are made available through organizations outside the educational departments, such as banks and credit unions. The lender determines the specific terms. You can get loans from your bank, other private financial institutions, or perhaps even through your college. Credit unions and colleges may offer lower interest rates than other student loan providers. If you repay your students loans on time, they help you build your credit score. Student loans are fairly easy to get. Loans are based on financial need, not academic excellence. You can joke about your student debts on Twitter. Loans must be repaid within a certain time period. Interest rates apply, and the longer it takes for you to repay your loans, the more debt you accumulate. You can become saddled with debt even before graduating from college. Unmanageable student debt can hinder your credit in the future and your ability to pay for other living expenses. With the endless options of scholarships, grants, and loans, there are endless ways to get more money for your college education!